I purchased a podcast subscription. Now what? 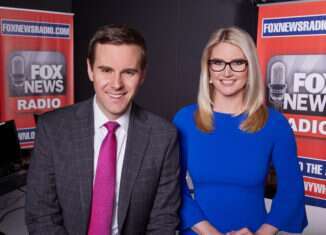 The easiest way to access your premium podcast is via our premium podcast web portal at https://radio.foxnews.com/account. Just enter your podcast user name and podcast password (from your Premium Podcast Information email) in the boxes indicated, and click/tap the "Enter Premium Area" button. Your podcast URL is not needed on this podcast web portal. Once you've logged in, you can scroll down to see the list of the available podcasts to either listen to online or download. Click "Listen" next to an episode you want to listen to or right-click (press and hold on a smartphone) on "Download" to actually download an episode to your PC/Phone. Note: The stock iPhone/iPad browser known as Safari cannot download/save files to your phone/tablet. You need to get a different browser on these devices to enable downloading - such as the free "Dolphin" browser which you can get in the iTunes store here. Safari can and does play the podcasts online by clicking the "Listen" link next to an episode you want to hear, however. 1. Copy your entire private podcast URL. 3. Click "File". When the sub-menu appears, click "Subscribe to Podcast...". 4. When the "Subscribe to Podcast" box appears, paste your private podcast URL in the box and click OK.
5. The most recent podcast will automatically download. When it's finished downloading, you'll see a blue circle icon next to your podcast title. Click on the arrow icon to the right of the blue circle icon that's pointing to the name of your podcast subscription. 6. To see an expanded list of available podcasts after the most recent episode has downloaded, look on the bottom center of the iTunes podcast window. If you are in "Library" view mode, you should see a section titled "Show:", with a button/icon where you can choose options. It will probably default to showing "Unplayed/My Episodes and Saved" by default. You will need to click the arrow on the right side of that button to see more options. When the options menu appears, click on "Feed". Once you click "Feed", you should see a complete list of episodes you can play or download. If you are still not seeing the list, go back to the top of the window where you see the blue circle icon and the arrow icon to its right, and click the arrow icon. If you are unfamiliar with how to "copy and paste", just carefully type your URL in the box provided and click OK. It's very important to type each character correctly or iTunes will not be able to locate your podcast subscription. A free iTunes desktop alternative for Windows is called Ziepod. Download Ziepod here. You will need your premium podcast URL for this program, as well. Refer to your "Premium Podcast Information" email. You will also see your URL after logging in at https://radio.foxnews.com/account, just above the list of episodes to listen to or download. There are also smartphone podcast apps you can use. A few are free while others must be purchased. For the iPhone and iPad, you can use the free Apple Podcasts app. Get it here. Once you have downloaded/installed the Apple Podcasts app, you can manually enter your podcast URL to the app to get your podcasts. To manually enter your podcast URL in the Podcasts app, tap on the "My Podcasts" menu item at the bottom left of the app. Once "My Podcasts" opens, look for the Search bar near the top. Enter/paste your Premium Podcast URL in the search bar and search. Another free option for iOS (iPhone/iPad) is an app called Overcast. You can get Overcast here. Note: you may be asked to create a free Overcast account and log in on the app with that account before using it. Once you're set to use Overcast (if an account is necessary, that is), open the app. At the very top right, you'll see a solitary plus sign symbol ( + ). Tap on the plus sign symbol. You'll be prompted to add a podcast. Tap on "Add URL" at the top right. For Android phones, you can use the BeyondPod app. You can find it in the Google Play Store here. Follow the instructions on how to add a "feed URL", which in your case is your podcast subscription URL. Another free Android smartphone app is called Podcast Addict. You can get that in the Play store here. If you're running Podcast Addict v3.8 or later Press the main screen + button to add a new podcast. Then select the 'RSS feed' option. You will then be able to enter your private podcast URL. DoggCatcher is a premium app that some Android users report success with. You can find it in the Google Play Store here. Follow the instructions on how to add a feed URL. Note: Doggcatcher might only report seeing one episode of your available podcasts. This can be easily remedied by making two quick settings changes in DoggCatcher. If you run into this issue, please email us at podcast@foxnewsradio.com for assistance. For Windows Phone, we have not been able to test this but there is a podcast app that offers the ability to download "premium" podcasts. It's called Podcast Picker. You can find it in the Windows Phone store here. Follow the instructions on how to add a feed URL. Again, this is not a complete list of the available apps you can use. Note: since they are not our apps, we cannot offer direct support for them. I purchased an individual podcast episode. Do I do anything differently? Yes. When you get your FOX News Radio "Order Information" email for your individual podcast purchase, you'll see that it has an image labeled "DOWNLOAD" on it. Underneath the image is a URL (link) to download the podcast episode. Click on either the link or the image to access your podcast. It may begin playing automatically at that point (for example, if you are using an iPhone/iPad with Safari, which won't download mp3 files to the phone/tablet). But otherwise, it should download directly to your computer. Once downloaded, you can either listen to the podcast "mp3" file on your computer with your default music player (such as Windows Media Player or Quicktime), OR, you can import (iTunes calls it "Add to the Library") the file into a program and then sync it to an mp3 player. Can I change my assigned podcast password? Yes! Just log in with your podcast user name and current podcast password at https://radio.foxnews.com/account and click on the "Change Password" link. Note: If you have multiple subscriptions, be aware that changing the password for one subscription automatically assigns your custom password to all of your subscriptions. What do I do if I lost or forgot my subscription information? If you've forgotten your password, please email us at podcast@foxnewsradio.com for assistance. All of our podcast subscriptions are identified by the email address used when subscribing, so you must provide the email address that you used to subscribe to the podcast when emailing us so we can look up your account. To be clear, you can use any email account to email us for help. Just provide your podcast subscription email address (if different from the address you are writing from) so we can successfully look up your podcast account. Hey, my FOX News Talk radio podcast is supposed to be three hours! What gives? We strip out the top and bottom of the hour newscasts, as well as the commercial breaks from each hour of your FOX News Talk radio (Kilmeade and Friends/John Gibson/Tom Sullivan/Alan Colmes) podcast. That leaves about 37 minutes and 40 seconds of content time per hour. All of our FOX News Talk radio programs are three hour shows, so that works out to about 1 hour and 53 minutes of show content per podcast. What are your podcast subscription cancellation and refund policies? You may cancel your subscription at any time. Subscription costs are non-refundable. Instructions on how to cancel are listed in the paragraphs below. Cancellation stops the auto-renewal of your subscription. You will no longer be billed going forward after canceling. You will continue to have access to your podcasts for the duration of time you've already paid for. Example: You have a monthly podcast subscription that is set to renew on August 15th. You cancel the subscription on August 1. You will continue to have access to your podcasts until August 15, and you will not be billed on August 15 or anytime thereafter for this canceled subscription. The subscription will expire on August 15, and podcast access will cease. How do I manage my billing info or cancel my subscription? 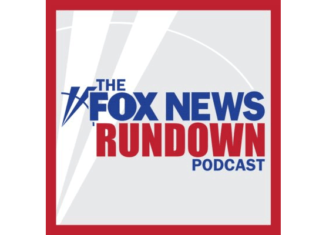 To update your credit card information or cancel your subscription, log in to our podcast subscription web portal at https://radio.foxnews.com/account. Look for the link that says "Manage Podcast Subscription Account" and click on that. That will take you to your private account page where you can update your credit card information or cancel. Note that canceling a subscription merely turns off auto-renewals. Your subscription will remain active for the period you paid for. If you log in and don't see that "Manage Podcast Subscription Account" link, you probably have an older PayPal subscription. Details on how to update your information / cancel your subscription for PayPal follows below. I have an older subscription through PayPal. How do I manage my billing or cancel my subscription? To manage your subscription in PayPal, use this link: PayPal Preapproved Payments. Remember that each preapproved payment you have in PayPal -whether it's our subscriptions or for other merchants you have set up) has specific choices for primary funding and backup funding. Note: You must be aware of what funding source(s) you have selected for your PayPal preapproved payments to make sure they remain current. Sometimes people update a credit card in PayPal, but a preapproved payment they have is set for an older/expired card. That will cause a podcast subscription to cancel after repeated renewal attempts if that preapproved funding source is not updated. In other words, it's not enough to just update a credit card inside PayPal. You need to look at your preapproved payment sources (see link above) to see what you have set for primary and backup funding. So, the steps would be to add a new credit card (or updated information about a current credit card) in your PayPal funding options section, and then go to the preapproved payments section (linked above) to make changes to the funding source for your preapproved payment for our subscriptions. Can you update my billing information or cancel my subscription? We can't update your billing information here, as that's private and we never see a customer's credit card number. You need to follow the instructions outlined in the sections above for that. However, we can cancel your subscription. Just send us an email and request we cancel the subscription(s). It's important that you let us know the email address you used when subscribing, as that's how we identify customers. Many times customers will email in from a different email address they subscribed with, and that makes it harder to determine what account they are inquiring about. So, if you are writing in from a different email address than you subscribed with, please let us know in the body of the email what that subscription email address was. My subscription was canceled. Can you reopen it? If your subscription was past-due and later canceled by our billing service provider, we can't reopen the subscription, even if you update your billing information. Once a past-due subscription is canceled, it is expired in both our system and the billing service provider's system. But, it's a simple matter to resubscribe! Just go to https://radio.foxnews.com/podcast and find the show you are interested in, and resubscribe. Just note that you will get a new set of credentials when you resubscribe. Having a podcast problem and don't see your answer listed here? We realize we can't possibly cover every issue that might come up with your podcast subscriptions on this page. But no worries - just email us! We'll be happy to answer your questions and assist you as best we can.